Perhaps, the difference lies in the conception only. 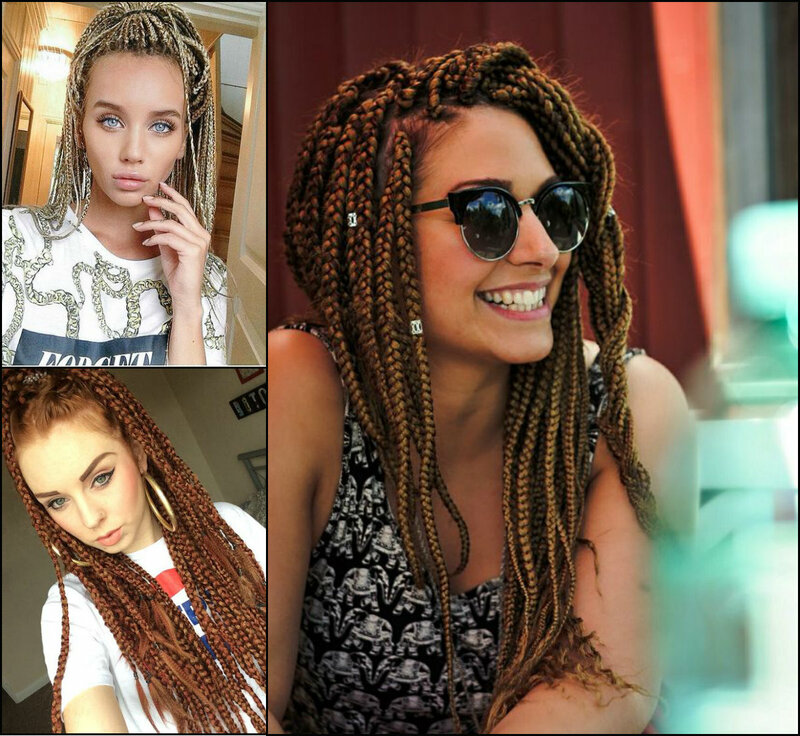 For white girls we can hardly call box braids protective styles. Indeed, they are just cool styles that you have to try. Well, if you have enough courage to do it. 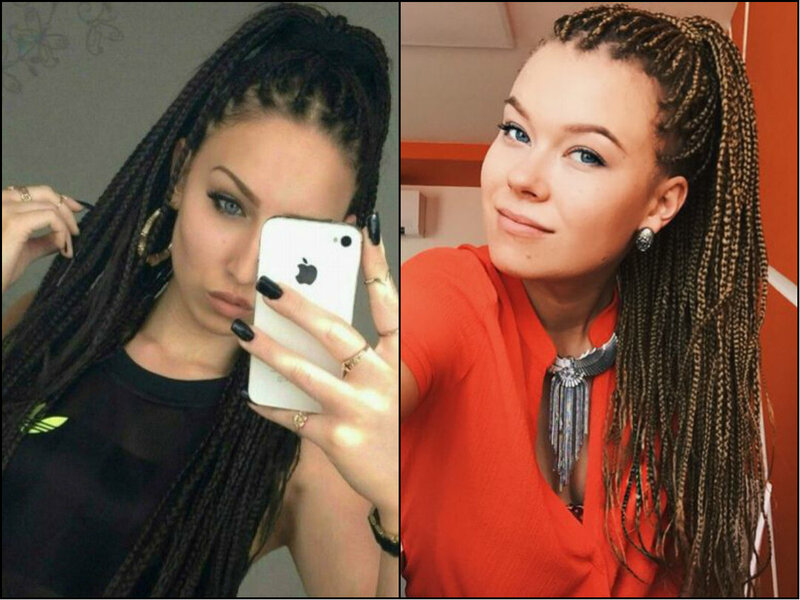 A significant difference between black and white women braids is the color. 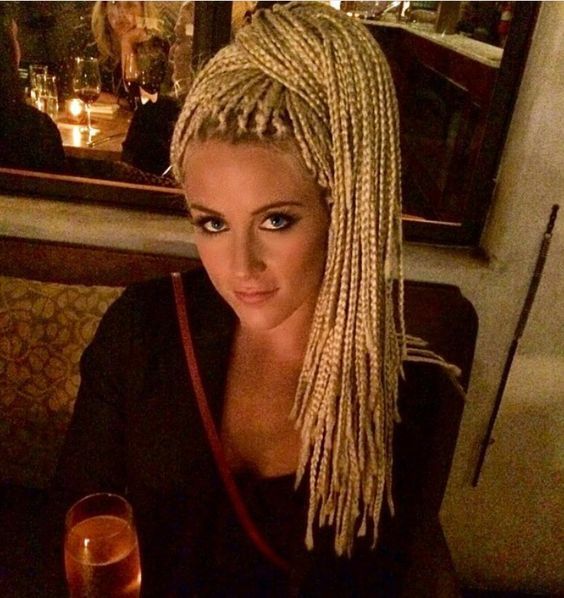 Consequently, for white women we are talking abut blonde hair extensions in the majority. Well, when your skin tone is fair and pale the darkest jet black is not always that cool. 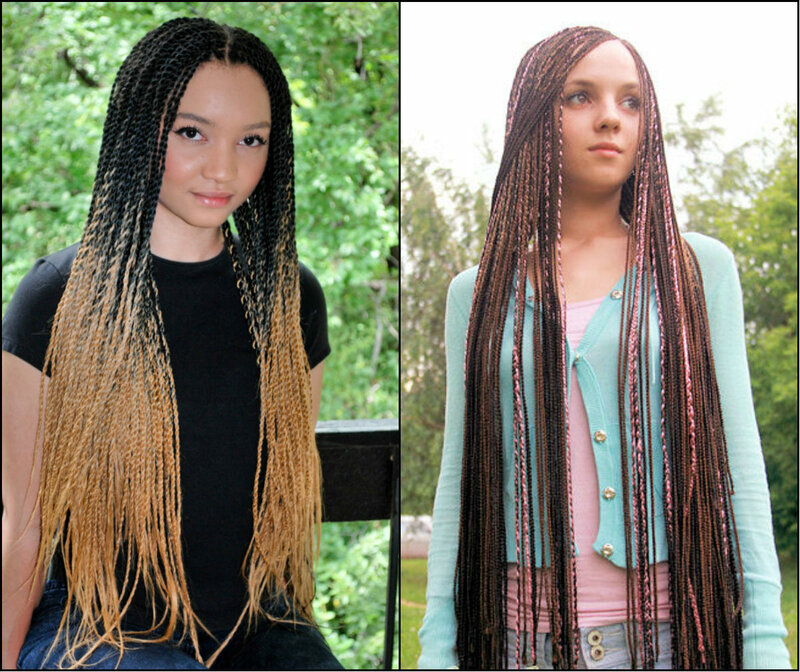 Meanwhile black ladies boast black jumbo braids in first place. You will say that box braids are okay but the very authentic beads are already too much. And I will tell to simply have a look at the above girl. Aren't her beads awesome? 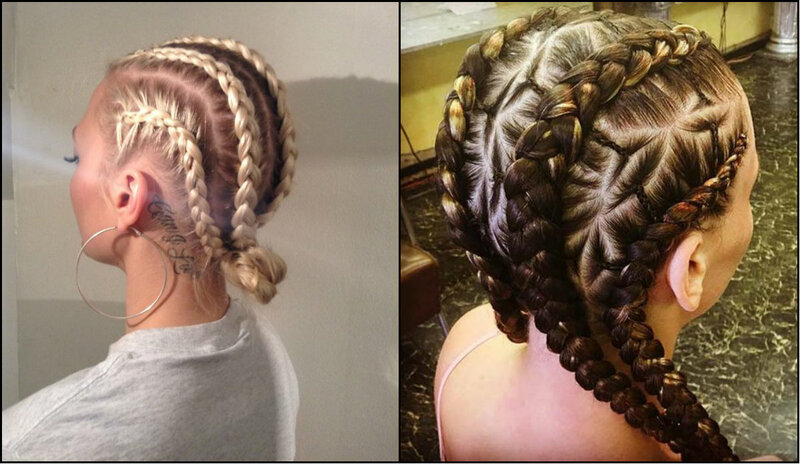 All the atmosphere of authentic box braided hairstyles is reflected in a couple of hair ringlets. 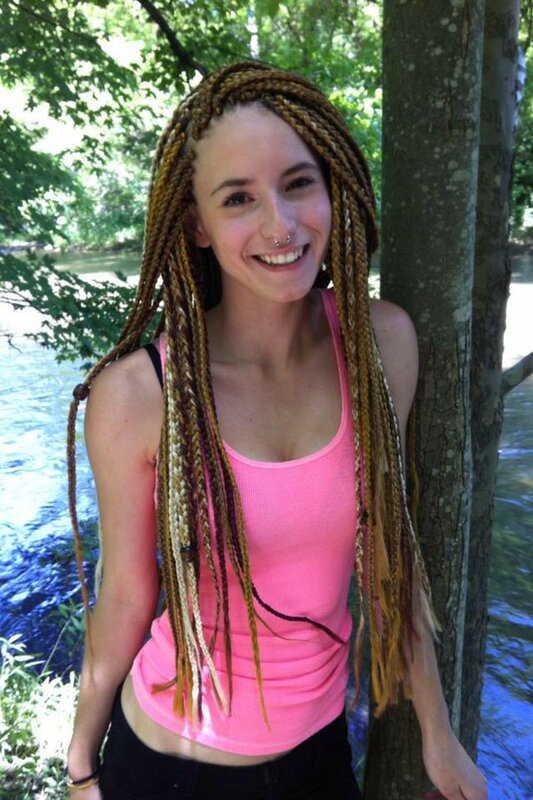 Really jumbo braids are simply fantastic on white girls. Long tresses fixed in high ponytails, or left loose will attract attention of anybody passing by. So you have to be ready for admiration and excessive attention all the time. 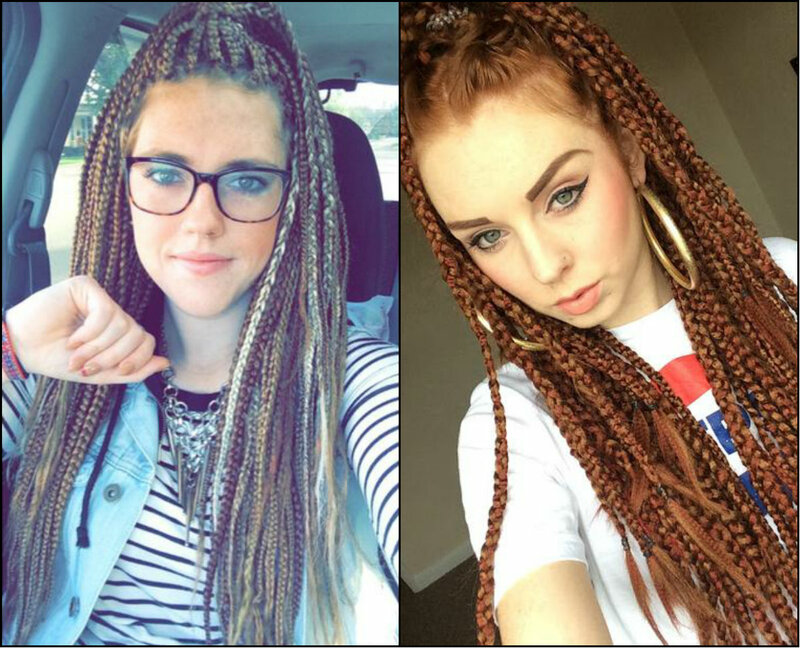 Actually, for white girls the box braids time is the teen age. Perhaps, you would love to stay with them later. 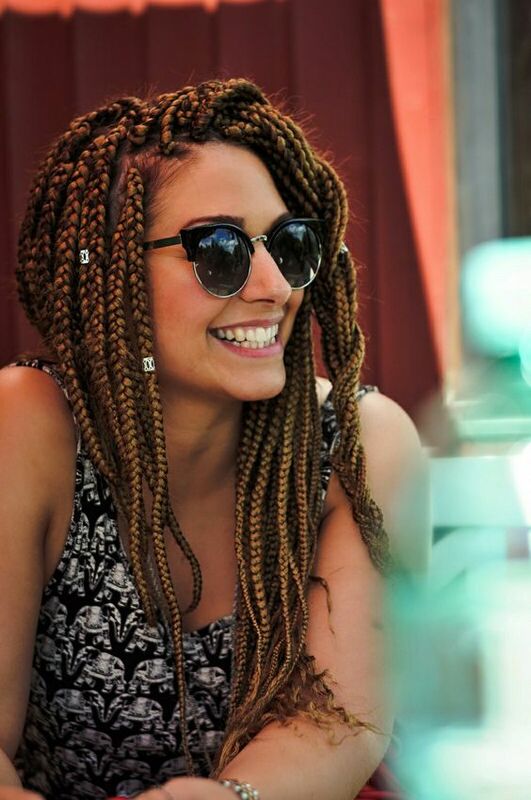 However, at the age of the rebel spirit, jumbo braids can be a good way to express your feelings and attitude towards the world. Besides, saving your natural hair you can play with colors too. Go red, or try multicolor extensions. It´s all up to you. Just be yourself! 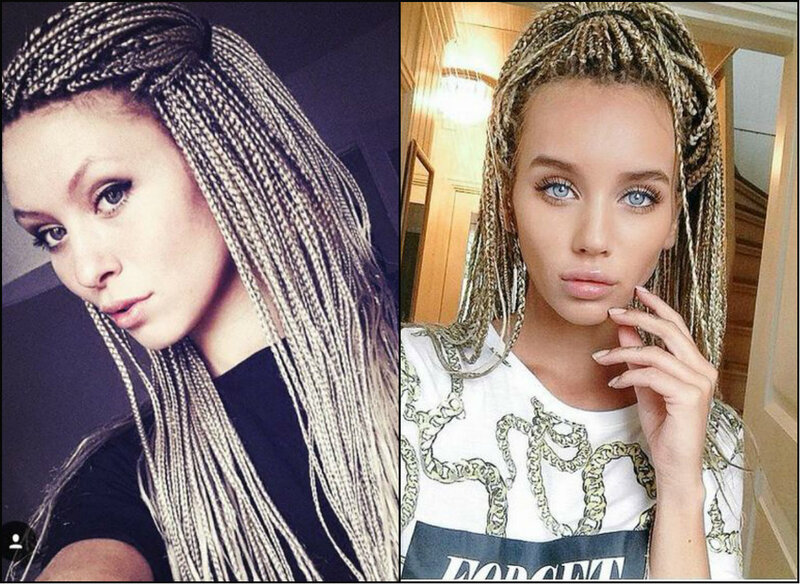 Another style of white girl box braids that surprised me a lot is the goddess braid. 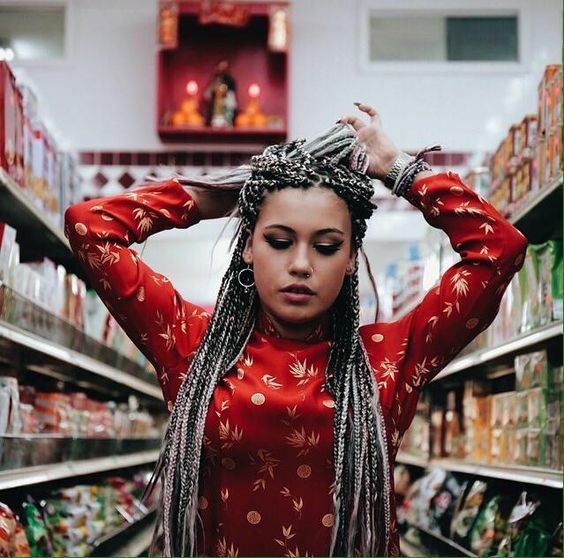 I always considered the perfect scalp and head shape to be the main reason for styling cornrows and goddess plaits. 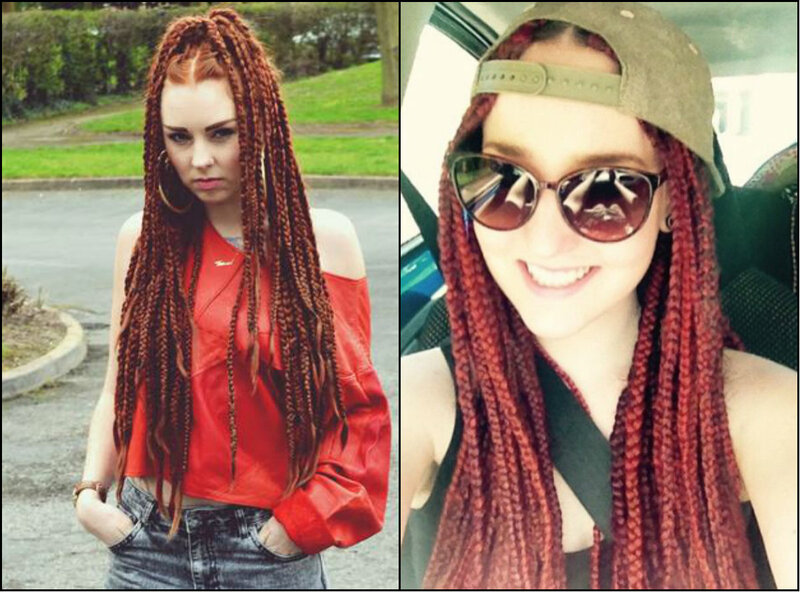 However, now I get convinced that white ladies can equally rock them.